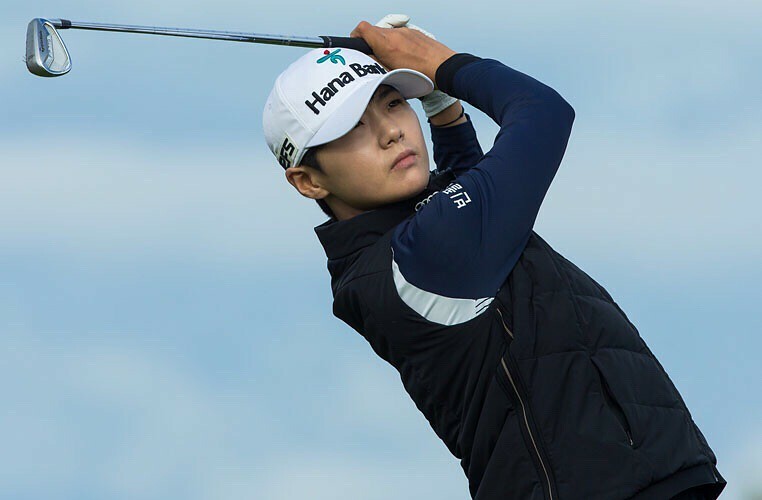 The US Women’s Open champion, Sung Hyun Park, took advantage of a fresh start at the Evian Championship on Friday morning as she fired an opening round of eight-under-par 63 to take a three-stroke clubhouse lead over Katherine Kirk. Play was cancelled on Thursday due to adverse weather and all scores were erased, reducing the tournament to a 54-hole event with a re-start on Friday morning. Park, the world number three who also won the Canadian Open last month, had been last on the leader board, on six-over-par after eight holes, when first round play was suspended, having taken a triple and a quintuple bogey. It was a different story on Friday as she made seven birdies, an eagle and one bogey on a soft golf course, effectively gaining 14 strokes from where she had left off on Thursday morning. Park certainly appeared to have regained her focus. She started with birdies on the 10th and 12th before chipping in for eagle on the par 5 13th and added two further birdies on the 15th and 17th in a back nine of 30. On her front nine, she birdied the second, bogeyed the fourth and made further gains at the seventh and ninth holes, coming in with 33. 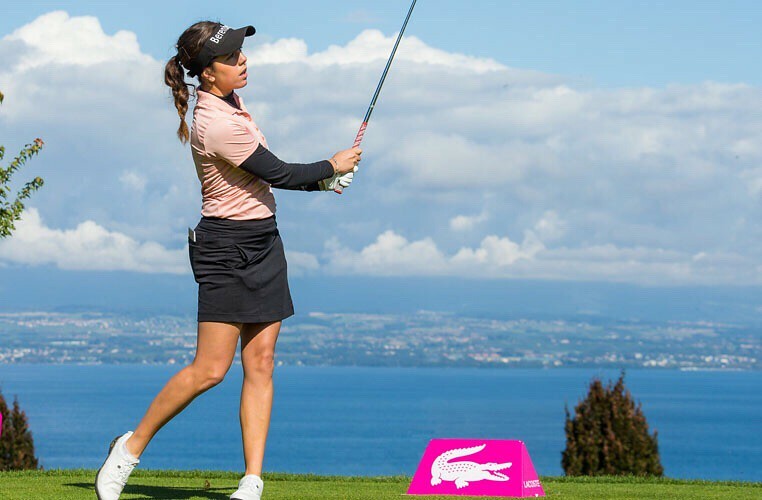 She was three ahead of the recent Thornberry Creek LPGA Classic champion, Australian Katherine Kirk, who shot a five-under-par 66, as play continued under blue skies into the afternoon, with Moriya Jutanugarn also on five-under after 14 holes. Jessica Korda and In-Kyung Kim, the Ricoh Women’s British Open champion, were in the clubhouse on four-under-par, with England’s Georgia Hall in a group on three-under alongside the US Amateur champion Sophia Schubert, 21, from Tennessee, Ai Miyazato, Ayako Uehara and the 2015 champion, Lydia Ko. Hall started with two birdies on the back nine at the fourth and sixth holes, against a bogey on 14 and added three more at the fourth, fifth and seventh, before making a second bogey at the par-3 eighth. Earlier in the day, Paula Creamer, who was playing with Ai Miyazato and Yani Tseng, withdrew due to a wrist injury.